Jackson has worked with the Media Education Foundation to create a new film about the MVP “bystander” approach to gender violence prevention education. Available on streaming and DVD, The Bystander Moment will be a great educational tool. Jackson Katz, Ph.D., is internationally renowned for his pioneering scholarship and activism on issues of gender, race and violence. He has long been a major figure and thought leader in the growing global movement of men working to promote gender equality and prevent gender violence. He is co-founder of Mentors in Violence Prevention (MVP), one of the longest-running and most widely influential gender violence prevention programs in North America, and the first major program of its kind in the sports culture and the military. 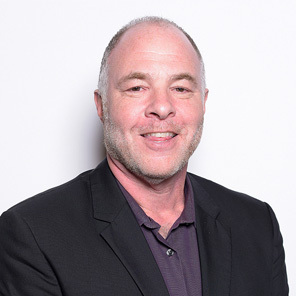 Jackson Katz is an internationally acclaimed speaker who has delivered thousands of lectures about a range of topics in a multitude of venues in the U.S. and around the world. His TED talk, “Violence against Women – It’s a Men’s Issue” has been viewed nearly four million times. harassment training with small and large companies. Jackson Katz and his organization, MVP Strategies, provide a range of gender violence prevention training, presentations and consulting services to all branches of the United States Armed Forces, as well as select militaries around the world. In 1997, Dr. Katz created and directed the first system-wide gender violence prevention program in the United States Marine Corps, the first such program in the U.S.military. Jackson Partners with The Representation Project on campaign for men to respond constructively to the #MeToo and #TimesUp movements during the 2018 Oscars. 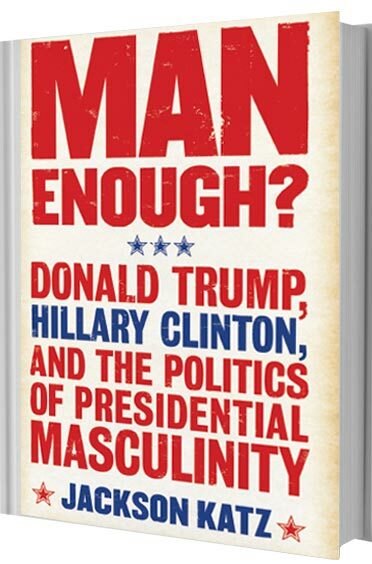 An elucidating, nuanced study of gender and feminist dynamics perfect for our current political moment. It was an incredible experience for us to have you speak to students and parents…You presented a whole way of living and relating to others they will now have forever in their heads (and hopefully in their hearts)…You presented great truths together with your own testimony, which is a very powerful combination. The kids were very responsive…the parents were so energized and gratified…Your work is making life better for women and liberating men to live as more authentic persons. The men’s leadership event you headlined last week was hugely successful, and I am still getting great feedback on it. We also received excellent media coverage. In my 35 years, I have never heard a man speak so authentically, passionately and smartly about the issue of gender violence. I am grateful you are in this space with us. I believe this is a pivotal moment for us in our working with men and boys. In his latest film, Tough Guise 2, Jackson Katz helps us understand the violence men do to themselves and to others, and he does that more compellingly and vividly than has ever been done before.